Beleagured coach Ze Maria has not given up on winning the 2016 Kenya Premier League is vowing to beat Tusker to the title against all odds. The Brazilian tactician thinks Gor Mahia were the better side against Muhoroni but were just unlucky. “Losing the top 8 was tough because we forced Muhoroni to play in their half. They scored the only opportunity they created because of our mistakes. Winning the league is important for our club and supporters and that’s our principal target,” said Ze Maria to capital sport. 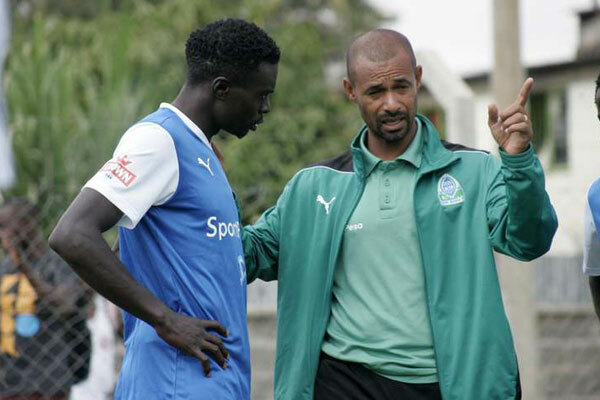 Finishing has been a serious problem for Kogalo in the second half of the league and the coaching staff has not found a solution. Rwandese talismen Kagere and Tuyisenge have only scored one goal each in the second leg. 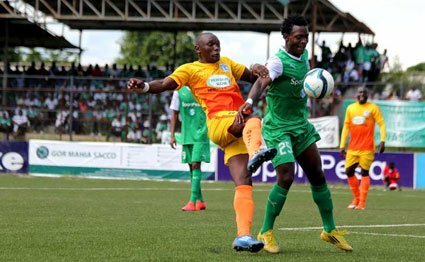 In the aftermath of Gor Mahia’s ignominious loss to Muhoroni Youth in the 2016 KPL Top 8, various reasons have advanced to explain Gor Mahia’s play which has been sub par in the second half of 2016. 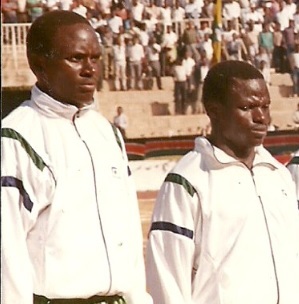 Kogalo legend Tobias Ocholla “Jua Kali” insists that the club’s top brass are too busy politicking and are too focused on retaining their positions at the club’s forthcoming elections. Ocholla wants the club officials to put the elections aside until November 19 when the league will have been decided. Indeed this year’s elections are the most critical in the club’s history as officials will be elected for a period of four years. However it is unlikely that this is what is causing the club’s poor performance. Most observers place the blame squarely on the shoulders of Ze Maria. Former AFC Leopards coach Gilbert Selebwa is adamant that Ze Maria is out of his depth. “Well, I do not think Ze Maria is the right man for Gor Mahia, you can tell from his tactics and fielding at times. He is solely the man to blame for K’Ogalo’s results, and I do not think the team will go far with him in charge, he is clueless. When Ze Maria was hired, a club official said thus: “We have decided to hire Ze Maria because of his excellent CV. A closer look however reveals that the Ze Maria experiement was ill conceived. The Brazilian has coached only three teams and before he joined Gor Mahia, he had not held any job for more than 4 months. In 2010 He coached two teams in Italy’s Serie C and Serie D, Città Castello and Catanzaro. He did not last more than 5 months at either job. Then he went 5 years without a coaching position before surfacing at Romanian Top Tier in January of 2015. By April of that year he was fired due to a poor run that left the club in 15th position. Though it must be said that the president of Ceahlul is a volatile and impulsive. He has hired and fired six other coaches since Ze Maria left almost two seasons ago. Nevertheless with such a scanty coaching CV, hiring Ze Maria was always going to be a huge gamble. And the gamble has not paid off. 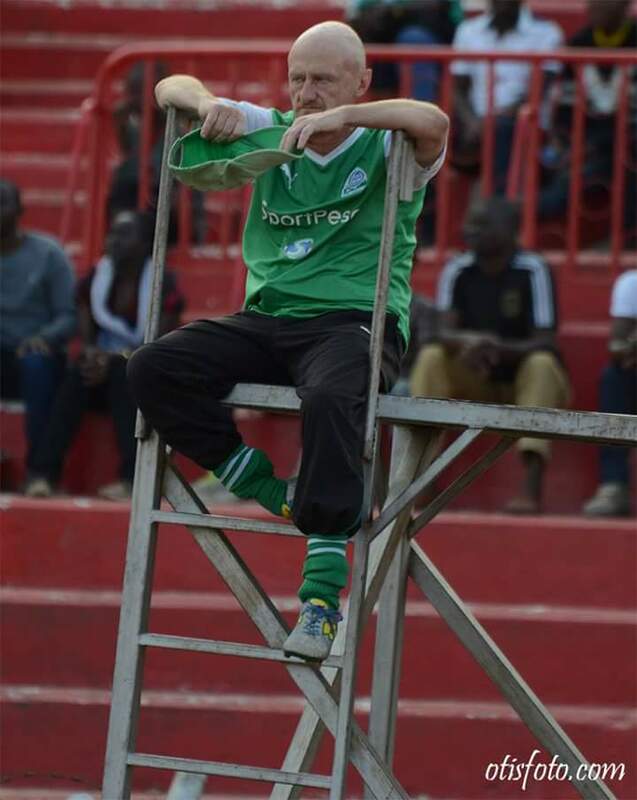 Gor Mahia physical fitness guru Sandro Fantoni has sought to apologize to fans for yet another lackadaisical performance and for what has been a disappointing season. “We made a lot of chances at goal, we had opportunities to score but we did not and we lost the match. It is called soccer but now I’m very angry. Tusker is a good team and we hope we win the League for the supporters because they are very good people and we play for them. We fight in every match and this is the philosophy of Ze Maria that says in every match we fight and today we fought but we did not win. Gor Mahia will play against Western Stima on Wednesday as they seek to keep pace with league leaders Tusker. Muhoroni Youth completed a stunning smash and grab 1-0 victory over titleholders Gor Mahia in the KPL Top 8 final marred by crowd trouble which saw the game halted for almost a quarter of an hour at Nairobi’s Nyayo National Stadium on Sunday. Chaos descended when irate K’Ogalo fans set their ire on assistant referee Gilbert Cheruiyot accusing him of not being fair to the two-time winners of the knock-out tournament. Missiles descended on the pitch as tear gas was lobbied to contain the in another shameful outbreak of hooliganism in domestic football that saw both sets of players dash for their changing rooms immediately after the final whistle with no presentation of the trophy and the Ksh1m prize to the winners possible. South African pay television channel that was broadcasting the game live across Africa went off air moments later as trouble continued in the stands with defeat too painful to stomach for Gor supporter who saw the Top 8 as the only realistic stab at taking home a trophy this season with their hopes of defending their league crown fast receding. Amid the rubble of anarchy, Muhoroni celebrated their first ever silverware when Kennedy Rono capitalised on a terrible mistake by the Gor defenders to pinch the ball and coolly round off captain Jerim Onyango for the winner. His opposite number, Farouk Shikalo Miya put on a match-of-the-match performance to thwart the profligate K’Ogalo who spurned chance after chance to win the game by the margin of daylight before the sucker-punch against the run of play floored them. from what has been a disappointing season. They will take on Muhoroni Youth in the KPL Top 8 final on Sunday. With Gor Mahia having inexplicably lost in the preliminary round of the Champions and having lost to second tier side Nzoia United in the GoTV shield, this could be the club’s last chance at silverware. Coach Ze Maria is under pressure to perform after a series of below par performances. He has had nearly three weeks to work on the weaknesses in the playing unit but he knows Muhoroni Youth will not be easy. “I don’t think anyone should say it will be easy for us. Any team that reaches the final of any tournament even if it is a one day tournament cannot be underrated; we can only do that at our own peril.” said Ze Maria to Citizen Sports. “Muhoroni are a very good side, to qualify for the final they had a fine run scoring four goals and conceding only one. We scored four and conceded none, evidently showing they almost match us strength wise. This means the best prepared team will carry the day,” Gor general secretary, Ronald Ngala offered. Muhoroni are coached by former Gor Mahia and Harambee Stars midfielder Tom Juma. The dimunitive midfielder who was known as a tireless box to box midfielder during his playiong days, has vowed that his side will not miss Ochomo. “Most people rate us the underdogs but we know we are worthy opponents and that’s why we are in the final. We are going for nothing less than a win, names won’t matter here, and it will be a matter of what we do in the 90 minutes. “We have put the departure of Ochomo behind us. We have Moses Arita and Lwamba Bebeto who are very experienced and capable of getting us goals,” he said. To get to the finals, Gor Mahia eliminated Ushuru FC 1-0 and beat Tusker 3-0 on aggregate. Muhoroni for their part beat Sofapaka 3-0 and Ulinzi on goal aggregate. 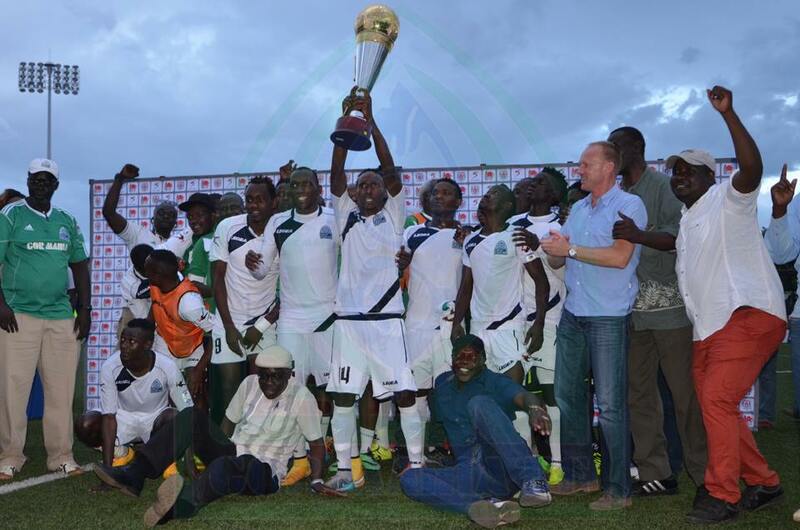 Gor Mahia have won this tournament twice, in 2012 and in 2015. Gor Mahia club chairman Ambrose Rachier says the executive committe has settled on December 11 as the date for the club’s annual general meeting of which club elections will be part of the agenda. Rachier suggested that he wanted to first settle on a new constitution that will comply with the Kenya Sports Act and CAF licensing regulations. But he is being hurried into elections. In the latest saga regarding the much awaited Gor Mahia elections, constitutional reform and special general meeting, Chairman Ambrose Rachier has categorically stated that the SGM which was scheduled for last Sunday but failed to take off, was not called by the club. Gor Mahia chairman Ambrose Rachier has distanced himself from Sunday meeting which was reportedly interrupted by ‘goons’. Branch officials and club’s aspirants in upcoming elections assembled in order to scrutinize the draft constitution but their mission was not accomplished due to unavailability of draft’s copies. Chairmanship aspirant Dan Oketch categorically told Goal that the incumbent chairman (Ambrose Rachier) deliberately failed to avail the document and instead sent ‘goons’ to interrupt proceedings forcing the meeting to abort. However, in his response, Rachier has asserted that the club’s administration did not call for an SGM and that the meeting held on Sunday was purely called by branch officials with the aim of going through the draft constitution. Rachier added that the club is keen on setting up a proper road map towards elections with SGM being the main agenda on the table. “Sunday meeting that aborted was not an SGM as was widely misunderstood. Branch officials are the ones, who saw it prudent to convene a meeting so as to scrutinize our draft constitution ahead of SGM. We are working round the clock to set a date for the SGM after we postponed it,” he told Goal. 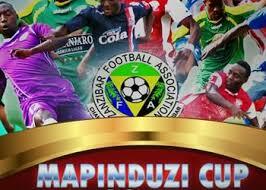 The organizers of the Mapinduzi cup, which is held every January in Zanzibar. Kassim Haji who is the secretary general of the Zanzibar Football Association has confirmed that Gor Mahia have been invited along with Tanzanian giants Azam, Yanga and Simba, as well as URA of Uganda who are the defending champions. “Tunaendelea kuzialika timu nyingine ili kunogesha michuano hii lakini kwa timu za nje tumezitumia mialiko Gor Mahia na URA,” said Haji to Mwanaspoti, a Tanzanian sports magazine. The Mapinduzi cup is geared towards providing entertainment to the people of the Island of Zanzibar who rarely get to watch top class competition while affording the teams an opportunity to prepare for the season. The tournament is named after the The Zanzibar Revolution (Mapinduzi Ya Zanzibar), which occurred in 1964 and led to the overthrow of the Sultan of Zanzibar and his mainly Arab government by local African revolutionaries. Gor Mahia have been invited before but declined the opportunity. Tanzanians and Zanzibaris have a tremendous amount of respect for Gor Mahia and are keenly aware of the intense battles that Gor Mahia has waged against the Tanzanian giants since the 1970s. If Gor Mahia miss out on continental football in 2017, the Mapinduzi cup will be their only international showcase. Gor Mahia’s Special General Meeting (SGM) which was set for Sunday, October 9, has been cancelled. The meeting was called by the club’s executive body after it failed to take place on Sunday, October 2 with an explanation that the draft constitution which was to be approved had not been fine-tuned, among other reasons, but things turned out to the worst on the rescheduled date. As confirmed to Goal by the club’s chairman aspirant Dan Oketch, branch officials had arrived at Nyayo Stadium in a large number only to be shocked that the club’s chairman Ambrose Rachier, who called the meeting, was not present. The worst part of it is that even the copies of the draft constitution, which was to be discussed and adopted, were not available at the meeting venue forcing officials to run up and down at a time when the meeting could have been on. A group of people heckling with slogans against Dan Oketch streamed in the meeting venue to completely disrupt the wait for the chairman leading to the cancellation of the meeting. This happening might just worsen the situation at the club following demands by branch officials for an Annual General Meeting in order to commission for elections. Gor Mahia beat Savanna Cement 2-0 in a friendly match on Saturday. Brazilian striker Thiago Da Silva and Rwandan forward Meddie Kagere were on target with first half goals. Gor Mahia were using the match to further prepare ahead of their KPL Top 8 final match against Muhoroni Youth scheduled for Sunday, October 16 at Nyayo stadium before facing off with Western Stima on Wednesday, October 19 for a league encounter at the same venue. 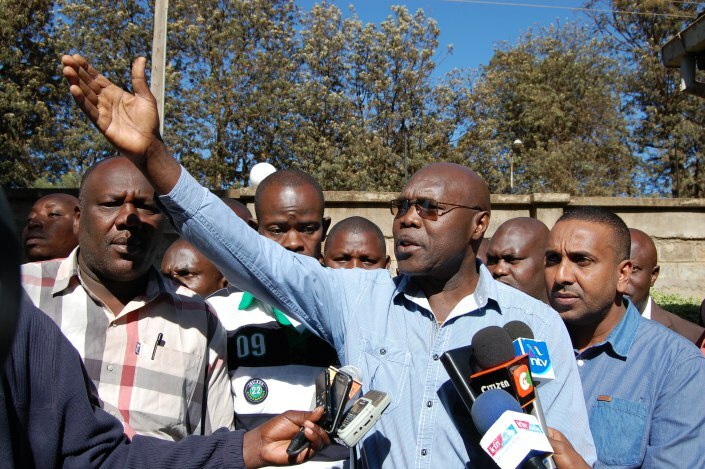 Gor Mahia chair Ambrose Rachier has announced that the club will hold its long awaited elections in December. According to a report posted on futaa.com, Rachier while addressing the media, stated that the club has revamped its constitution to be in line with the sport act. “We have a new drafted constitution that will be passed by members before we go to elections. We have to comply with the Sports act first before we conduct our elections. We will hold a special general meeting on Sunday 9 October where all branch chairmen will attend and we will brief them on matters new constitution. They will discuss before the constitution I adopted. Rachier who has been under siege , sought to assuage the concerns of those who think the elections are being rigged by stating that they will be run by an independent body. -Elections will be free and fair in accordance with the Sports act, we will engage an independent body to ensure that elections are free and fair, he added. According to the Sports Act, an elected official will serve for two terms of four years each. For Gor Mahia, this likely means officials will be entrenched in office for four years. And that is why these are the most crucial elections the club has ever had. A mistake could cost the club four years of mediocrity.